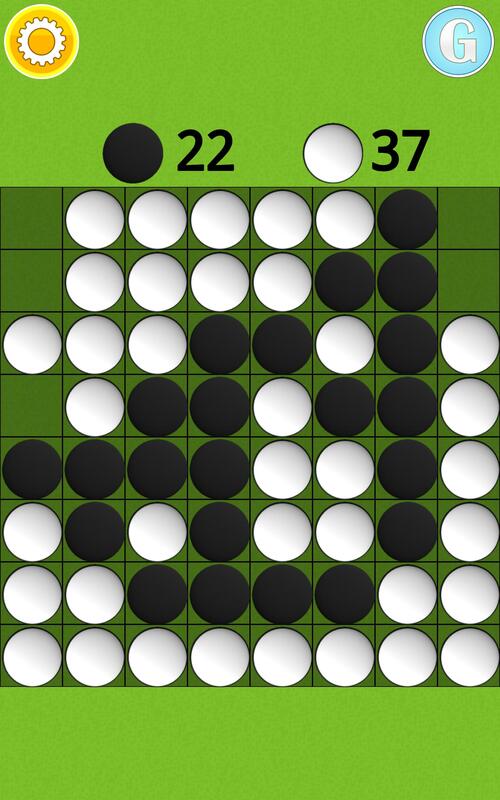 ✓ You play with black and you are the first to make a move. 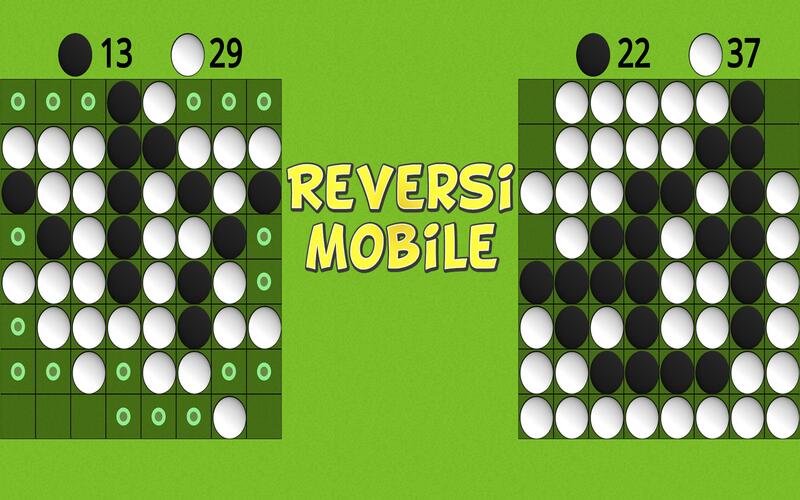 ✓ The game alternates between your turn and the opponent's turn. ✓ At the start of your turn, you are presented with a number of allowed moves lighthearted with green disks. 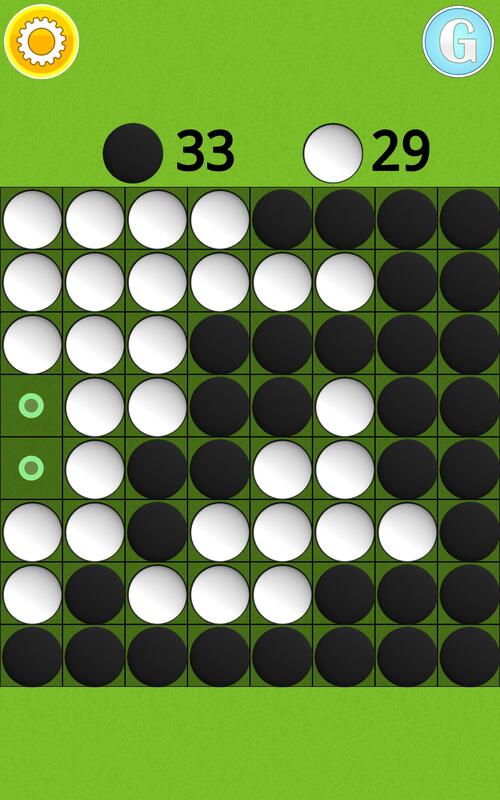 Pick one piece and then tap on one of the suggested square. 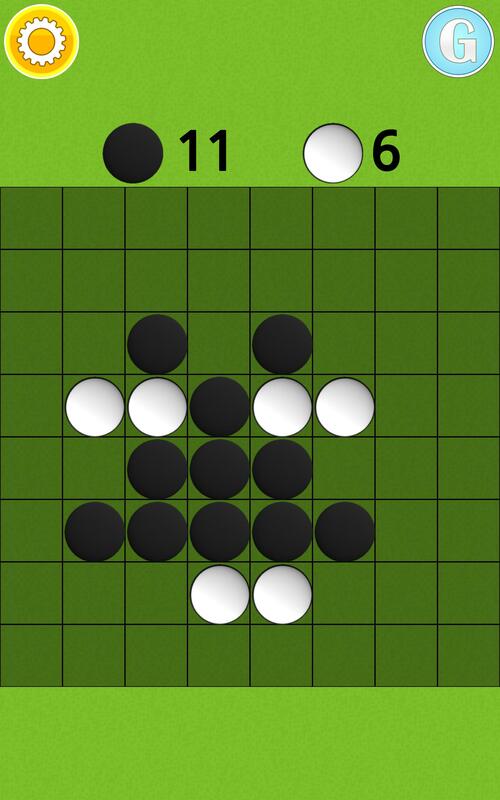 ✓ If between the displayed choice and your black piece, there are only white pieces the move is valid. ✓ The pieces you capture can be positioned on a vertical line, a horizontal line and a diagonal line. 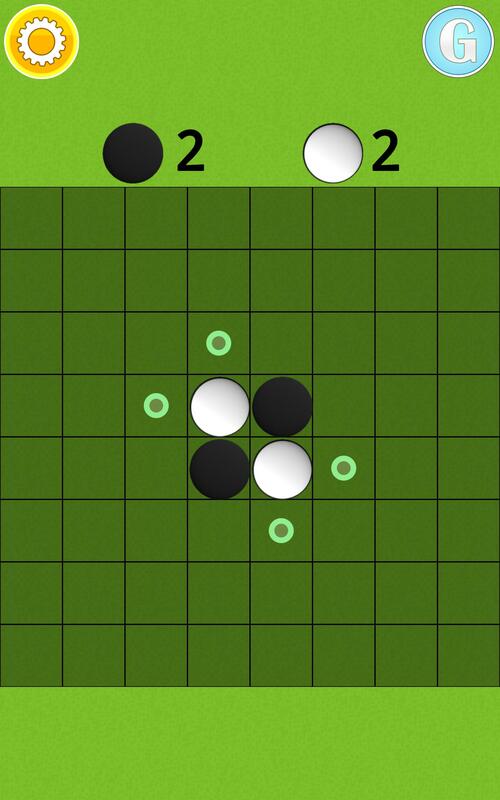 ✓ If you or your opponent run out of allowed moves, the game will end. 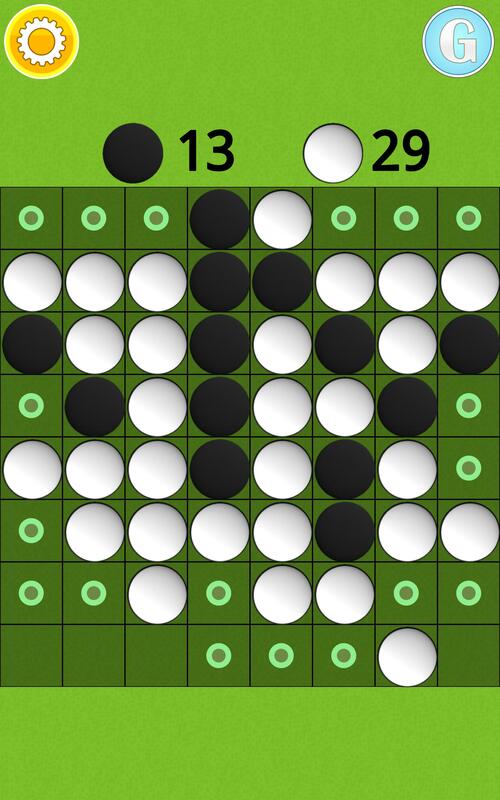 If by the end of the game you have more pieces than your opponent, you win. 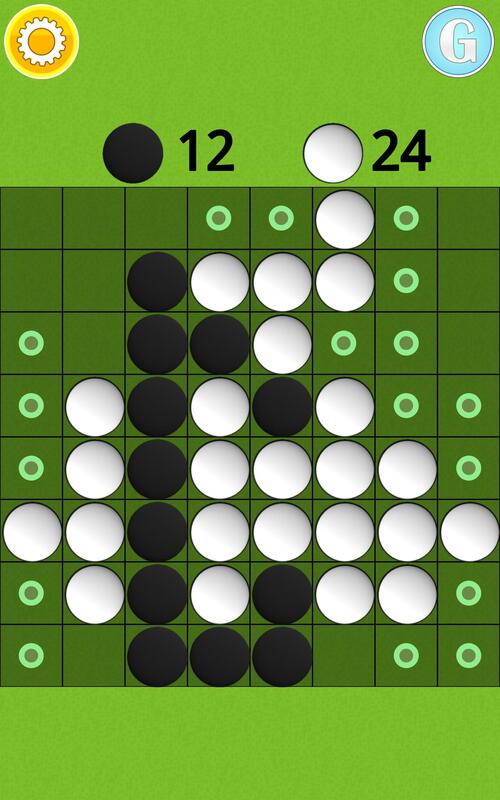 ✓ If you have an equal amount of pieces as your opponent, then the game is a draw. ✓ If the board is filled the game ends. 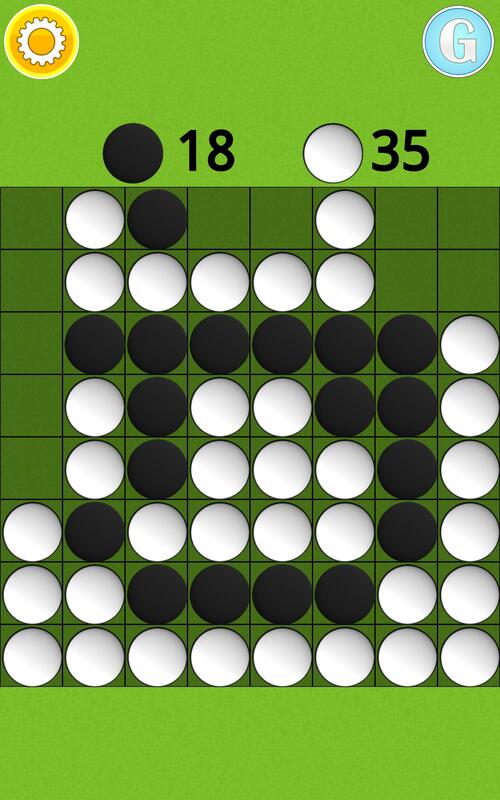 ✓ This game involves a lot of strategy and even though at some point the odds may seem stacked against you, with one good move you can reverse the course of the game.